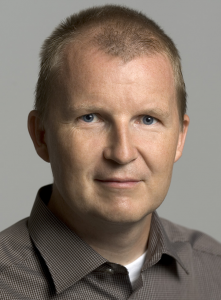 Ole Sigmund is a Professor at the Department of Mechanical Engineering, Technical University of Denmark (DTU). He obtained his Ph.D.-degree 1994 and Habilitation in 2001 and has held research positions at University of Essen and Princeton University. He is a member of the Danish Academy of Technical Sciences and the Royal Academy of Science and Letters (Denmark) and is the former President (2011-15, now EC member) of ISSMO (International Society of Structural and Multidisciplinary Optimization). Research interests include theoretical extensions and applications of topology optimization methods to mechanics and multiphysics problems. Ole Sigmund is a world leading expert within theoretical extensions and applications of topology optimization methods. Current activities include giga-voxel resolution topology optimization on super computers, multiscale formulations, implementation of manufacturing constraints as well as applications in multiple physics applications like thermal, thermofluidic, fluid-structure and nano-optical problems.